This is the first article in the new series of our interviews with startup founders. We want to share startup success stories with you. With the CEOs of these startups, we will try to answer the question of how to start a startup company. 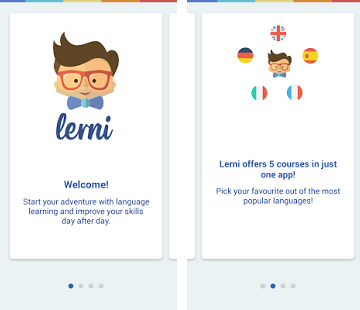 Let’s begin with the Lerni app. 1. Inspirations: how to start a startup company? We came up with Lerni app from our experiences from educational projects carried out for external clients in earlier years, mainly in the field of e-learning, which we conducted as part of various, original courses. The idea was born during my trip to Silicon Valley where I heard a lot of inspiring startup stories. I decided to create one product that would bring many services related to foreign language learning together and to do it with a new business model: a web platform with a mobile application for Android. 2. What were the beginnings of your startup success story? We launched simultaneously with several sales channels, based on previous cooperation with partners as part of our e-learning programs. Thanks to that, we immediately gained several dozen clients as part of B2B (language schools, institutional clients such as public and private schools or libraries) as well as B2C – reaching individual users through, among channels such as Internet shops. 3. How did you prepare to launch your startup and why? The process of mobile app development has continued for the past 4 years. At first, as an MVP, it was based mainly on content that we had created earlier in other e-learning courses. Currently, 1000 multimedia lessons are available for users on the web and mobile application for the android system, each of them consists of 5 modules – in total we have 5,000 modules with interactive exercises divided thematically and according to the level of advancement. In 5 different languages: English, German, French, Italian and Spanish. We want to tailor the application to the needs of both teachers and students. People who run classes often jump from lesson to lesson in textbooks, do not follow it one by one. They have additional notes and handouts. We’ve made an online tool for them. Teachers can use our ready content, but arrange it in a way that suits them: the course is not rigid, it consists of modules that can be freely arranged. On the other hand, it is a platform suited for students who can create a tailored lesson for themselves, from selected multimedia modules. 4. What is the biggest challenge for startup founders? For us, the toughest challenge is to work on an application that lives on and is constantly used (and simultaneously tested) by the users. We often have to introduce new content or functionalities at once, as well as fix errors and improve the quality of multimedia lessons. We work in agile lifecycle management and we try to implement functionality without paying the cost of fixing errors and vice versa. That’s why we often use software outsourcing services – that way the work on the project goes faster and more efficiently, and we can predict changes with greater probability. 5. Where is your startup now? For almost 3 years we have been conducting educational activities for teachers who want to teach in a modern way. That’s why we offer a website for teachers. We send out newsletters with sample tasks and we run webinars every week – we want to build a community of people who want to benefit from the use of new technologies in education. We want to know their problems and challenges and respond to them in our activities as a startup company. Recently, we’ve also launched online conversation packages with lectors. 6. Where do you see your startup in 5 years? Our goal is to improve the automation and individualization of content. We want teachers to be able to generate their own course in an almost automatic way – quickly and simply. A year ago, in cooperation with Zaven, we had already created a tool for making your own content. Thanks to that, a large part of the work is automated. In the future, we also want to facilitate the creation of new content, with the generation of voice recordings and graphics. Our goal is to make it as easy as generating a table in excel with vocabulary translations so that even people who run individual classes or write a blog about foreign language teaching could use it. For the end user, we want to automate the content that is presented to him in the follow-up exercises based on his previous activity in the Lerni app. We want the application itself to suggest content that interests him. In addition, we intend to introduce new types of exercises like crossword puzzles, true/false, fill in the gap, and even hangman. There are still many startup questions to ask and a lot of paths ahead of us: we plan to create very specialist courses, for example, English for dentists. This will be a big challenge for us in terms of changing distribution channels. Our present distribution channels mainly reach a broad customers base, while specialized courses need to reach a more limited group. Next year, we intend to rebuild the entire system architecture. Our programmers are already preparing for that. We are constantly looking for new directions in our software development process, value for users and business goals: Lerni is constantly living. 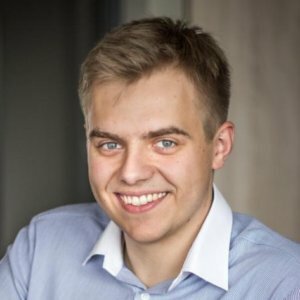 This is the first article in the new series of our startup founder interviews. Lerni’s startup success story shows us how to start a startup company in educational business. Next, we will talk with our client from the construction industry market. Feel free to share your comments and thoughts about inspiring startup stories or questions you would like to ask a startup CEO. Entrepreneur focused on using modern technologies in education. In his free time: promoter of bicycles as a means of transport, social activist and fan of all sorts of discussions. At Lerni.us he mainly deals with product development strategy and external contacts. Marta is our Project Manager who focuses on Zaven’s communication. She loves to organize: human resources, social media articles or our integration events. No matter what, she will make it done.